The last time I visited Venice, I was 20 years old and living in Paris. A friend and I spontaneously decided to take a week off and tour the country by train. After a few days apiece in Milan, Rome and Florence, we eventually arrived in the canal-filled, car-free city that is Venice. I remember it being eye-wateringly expensive, but breathtakingly beautiful at every turn. To cut costs, we ate filling snacks from bakeries and blagged a few speedboat rides! 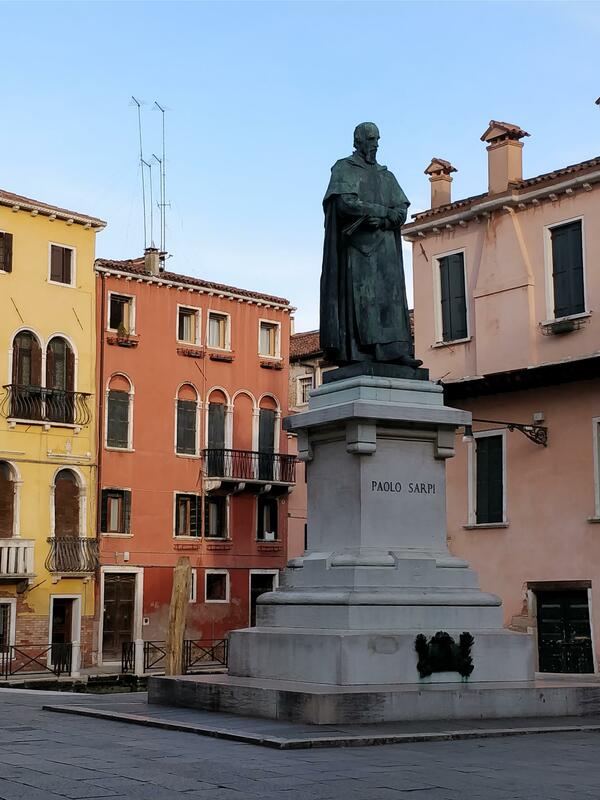 Earlier this year, Chef Savla planned a work trip to nearby Treviso and I decided to tag along for the weekend. I was curious: how had Venice and I both changed since my budget backpack days? Incidentally, this was our first trip to Italy together; we’d been several times separately, but somehow never got around to visiting as a couple in 12 years. In short, it was much the same as in 2001: crawling with tourists in the centre despite the sub-zero temperatures and utterly photogenic facades and views all around. 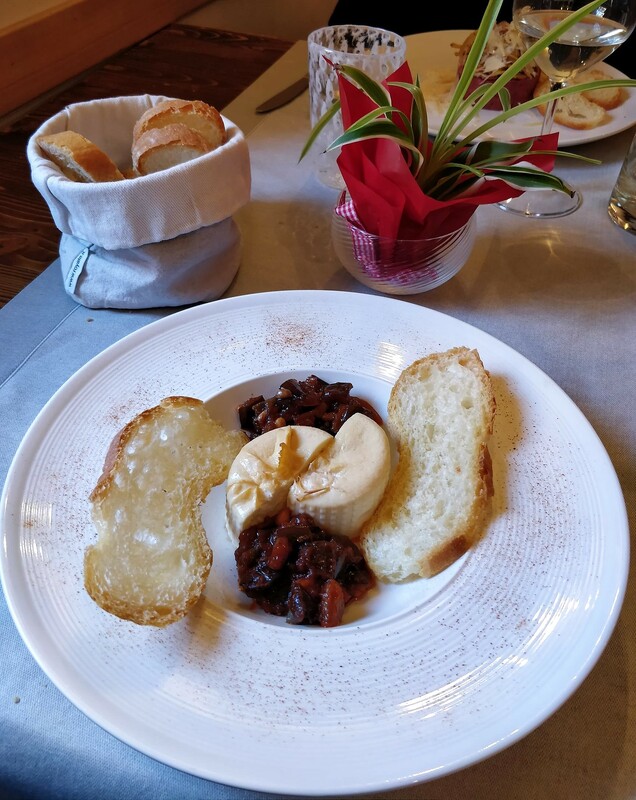 Having developed a tiny obsession with food in the past 16 years, I was keen to get stuck into the Venetian dishes that I missed out on as a student. Naturally, I’d done some research beforehand, but we ended up following our hotel’s and family’s advice, and stumbling across our own finds. 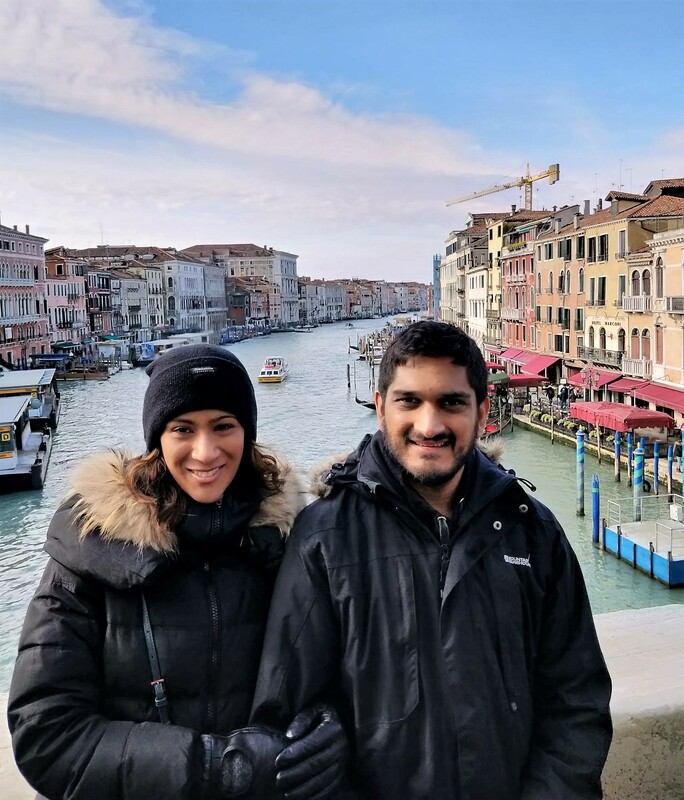 Below are the top three restaurants of our trip, along with some bacari (bars serving cicchetti, or bite-sized snacks, with drinks; not to be confused with tapas) and additional recommendations. 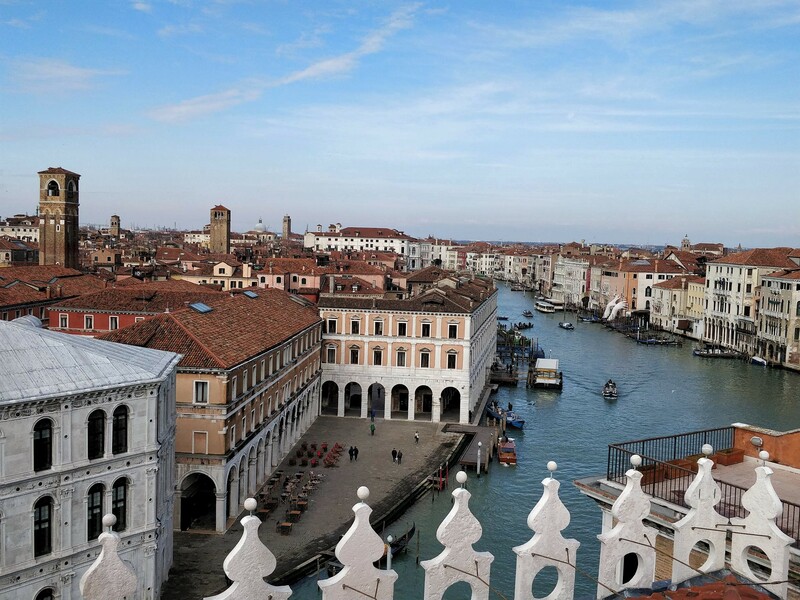 With an enviable canal-side view in Cannaregio away from the tourist trail, this place is the archetypal trattoria and was recommended by our hotel. Grab a quick drink and snack at the bar as you walk in or head into the small adjoining restaurant for an incredible meal in the company of locals. 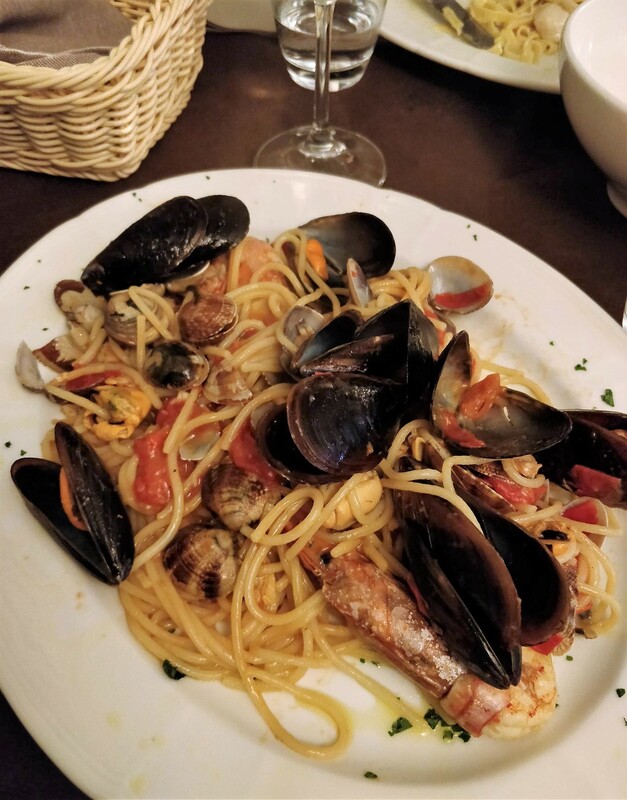 Whether you have lunch or dinner, do not miss the Spaghetti alla Scoglio (seafood spaghetti): a generous plate of pasta tossed with fresh tomato and garlic then piled with mussels, clams and large prawns. The tagliatelle with scallops and mushrooms is subtle and slightly rich without being sickly, and a charcuterie board is a good antipasti option. Truth be told, this wasn’t our first choice for lunch that day. The restaurant that our walking tour guide had recommended was fully booked, so we settled on this one as it was tucked away in a corner and looked authentic. 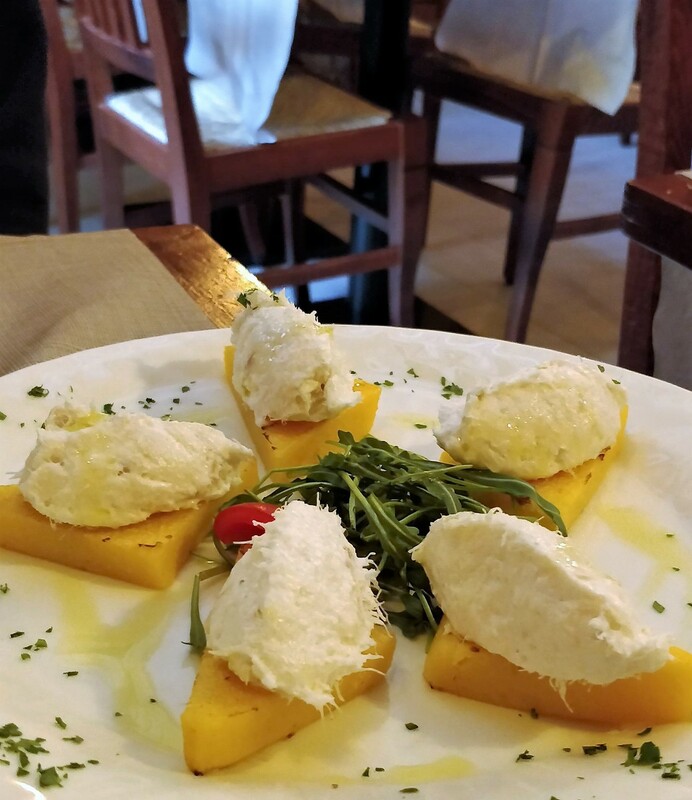 Like most restaurants, they serve cicchetti, and the traditional salt cod one is a winner: fish soaked in water, simmered in milk then creamed with olive oil and dotted on a small square of bread or polenta. Other menu highlights include steak tartare with Parmesan and artichokes (adds an earthy note to the meat), burratini with caponata (smooth and spicy), monkfish linguini and gnocchetti with guanciale (pork jowl) and radicchio. 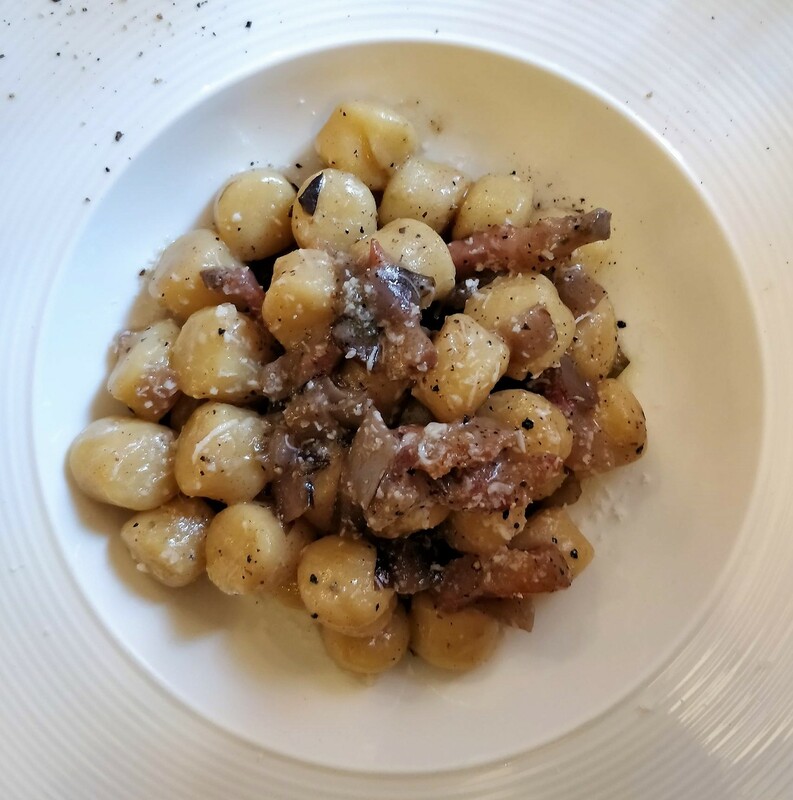 The latter was my personal highlight as it has everything I look for in a gnocchi dish: dainty dumplings which practically dissolve on your tongue, with touches of fatty flavours and textures throughout. Given its proximity to Piazza San Marco, this is usually the type of place that you’d give a wide berth. But since Chef Savla’s cousin Jai and his wife Sheena gave it a glowing review, we were willing to put our prejudices to one side. The wood-panelled walls adorned with wooden boat wheels and rope-covered ceiling make you feel as though you’re dining offshore, and there’s an intimate courtyard out back. Venetian classics reinterpreted for a modern clientele are the order of the day. Expect to find your favourite pastas, such as creamy, comforting and calorific carbonara and gnocchi with salmon and courgettes. The visually appealing squid ink spaghetti with saffron prawns is a revelation: savoury with a sweet hint of luxury. We ate: salt cod, cod ceviche and meatballs. We ate: tender, fennel-flavoured porchetta strips in the company of some chatty Venetians currently living in China (they were very generous with their Prosecco). We ate: my list tapers off at this point. Considerably more spacious than other bars yet just as laid back. After sinking many glasses of Prosecco and Aperol, we weren’t quite ready to call it a night. Just off Rio Terà S. Leonardo, this is the perfect spot for a nightcap. What it lacks in space, it makes up for in cocktail and cicchetti quality. More evenings should end with beetroot hummus followed by mozzarella and tomato cicchetto then drinks, including an excellent espresso martini. I have it on good authority that this is where locals get their cicchetti fix, although we didn’t get the chance to try it out this time. Closed for a private event, so no joy for us. Our guide was very passionate about this bar, which hosts live readings and music evenings, as well as offering hearty Venetian fare. 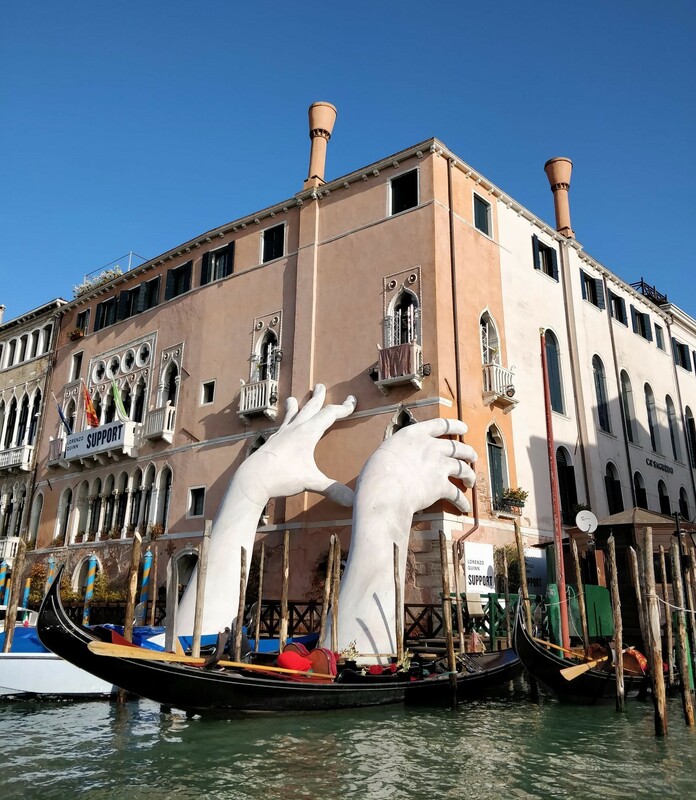 Have you been to Venice? If so, have you tried any of these places, or do you have your own favourites? 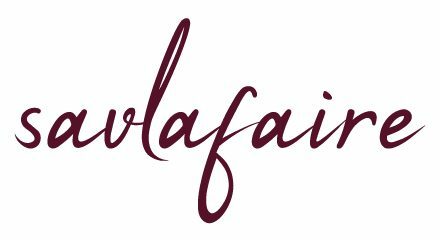 Leave your comments below or on social (@SavlaFaire). I loved Venice when I went nearly 12 years ago. I must admit like yoy great foodie joints were not on the top of my list back then. Clearly I need to make a return trip. We had different priorities back then. But it’s so lovely to go back and experience it in a new way – hope you can go soon, Sima. Now I want to go back to Venice. Right now! 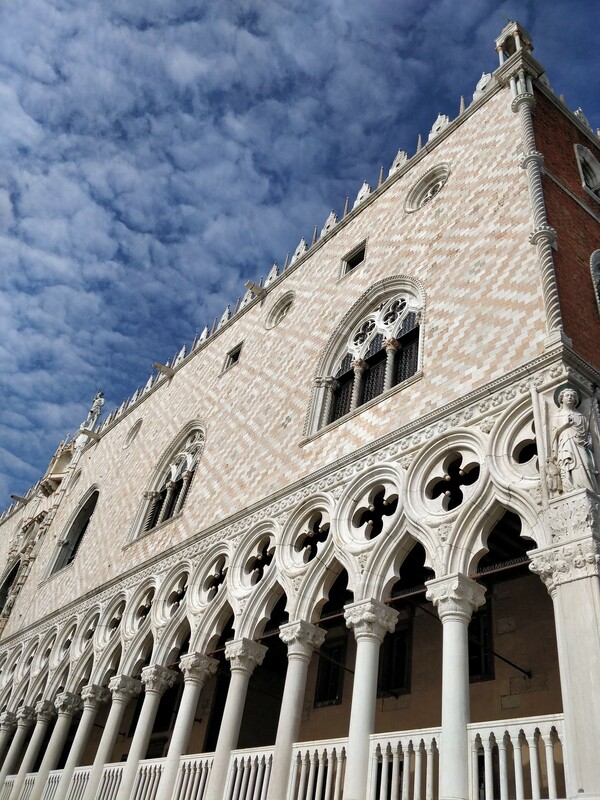 Going to Venice layeyr this year for my big birthday and will be sure to check these out. It’s so easy to walk into a touristy restaurant in Venice, so recommendations are essential! I hope you get the chance to try a few of these places, Scarlett – we really loved them!